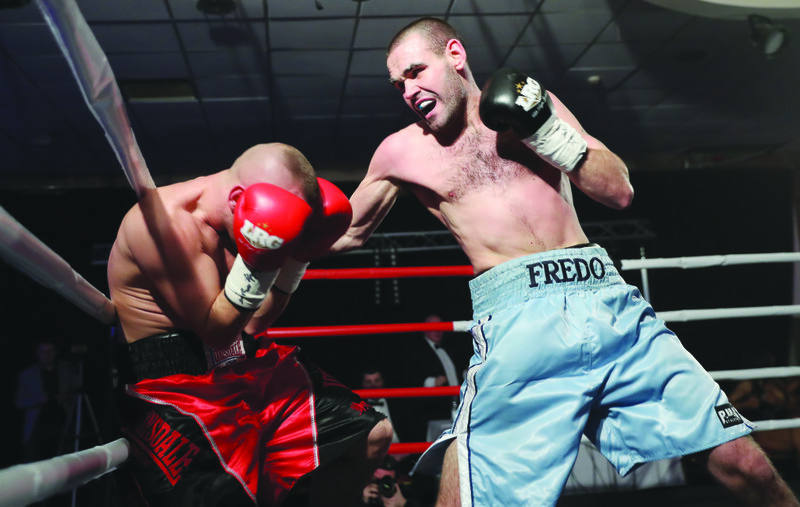 ALFREDO Meli enjoyed a winning return to Belfast on Friday night at The Devenish as he scored a 60-54 points win over Laszlo Fazekas to improve his record to 13-0-1. Meli’s last home fight was that Celtic title draw with Conrad Cummings back in November 2015, but there was no doubting the result this time as Meli controlled the contest from bell to bell to secure a win he hopes can get him back into the title mix. “I’m glad to get back on home ground and get another win under my belt,” said the Immaculata-based southpaw. Meli was in no mood to feel his way in on Friday as he slipped a couple of jabs before going to work at a high pace, whipping in hooks to the Hungarian’s body as he established his dominance. A straight left set up another body assault as Fezekas was forced back onto the ropes and this was a theme that would continue in the second with Meli varying his attack well, using body shots to set-up left and right combinations upstairs and vice-versa with Fazekas trying to fight back, but being out-gunned. Meli continued to try and chop down the tree, but Fazekas was proving his worth as he soaked up the pressure and took what the West Belfast man had to throw at him. However, there was no disputing who was banking the rounds and after six high-paced and enjoyable frames, Meli was declared the winner by referee, Hugh Russell Jnr. There will be a slight break from boxing for Meli now who has another important date next month, but he is hopeful of returning to title contention as soon as he gets back in the ring. “I’m married next month so then I will move onto the next one,” he said.